Honey has been used for thousands of years in medicine and as a skin treatment. The "Journal of the Royal Society of Medicine" reports that honey was used extensively by the ancient Greeks, Romans and Egyptians for wounds and disease and has proven value in treating surgical and burn wounds. The antibiotic and enzyme properties of honey combined with olive oil and lemon juice make an effective, inexpensive facial cleanser that is easy to make. Pour 1 tsp. olive oil and 1 tsp. honey into a small bowl or jar. Measure 1/2 tsp. lemon juice and add to the olive oil and honey. 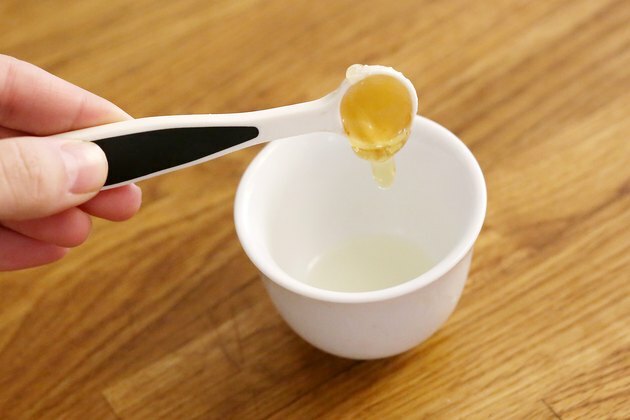 Stir the mixture of honey, olive oil and lemon juice with a spoon until well mixed -- about 30 seconds. 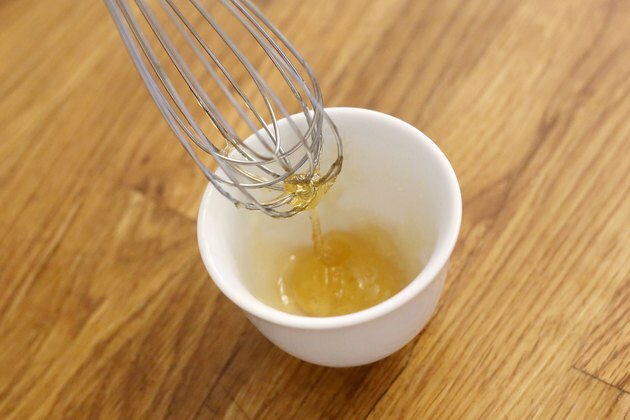 Alternatively, a wire whisk also works well for blending, or place a lid on the jar and shake vigorously until all the oil, honey and lemon juice have mixed. Apply immediately. The mixture should be rubbed into the face and neck just like a commercial cleanser. Wash off with warm water and a washcloth. The cleanser can be stored in the refrigerator for later use, up to a few weeks. However, allow the mixture to sit at room temperature for 30 minutes, then stir, whisk or shake to remix before reusing. The same formula works well on other areas of dry skin as a mask. According to Bees Online, apply the olive oil, honey and lemon juice mixture to hands, elbows, and heels, and wash off after 15 minutes to soften and moisturize dry skin.